The Blood District is the scariest event to hit the streets of Saint Petersburg. This October the Warehouse Arts District will be home to this horrifying creative event! Set back in a decade where Zombies roamed the railways and terrifying creatures lurked in the district’s historical industrial buildings. The event will include food, drinks, and scary entertainers, event goers will also have the chance to enter at their own risk into two different haunted houses with several scare zones. Thrill seekers will come from all over to be scared to death in the Blood District. 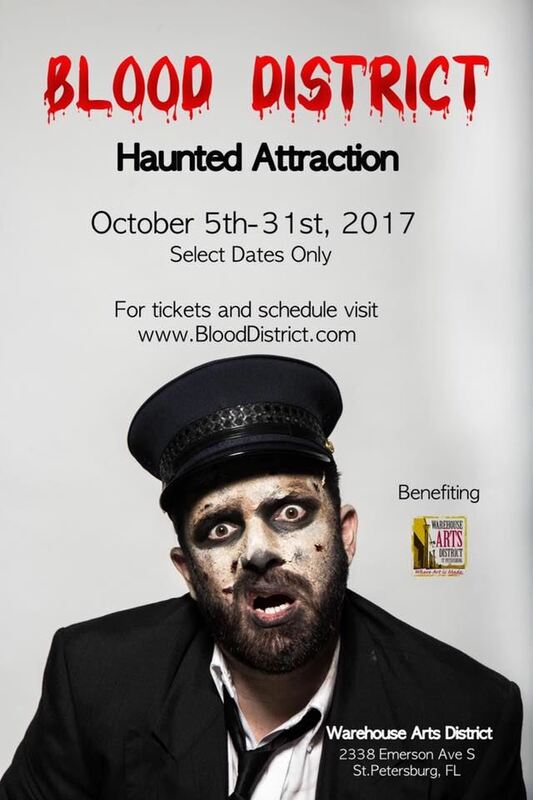 Located in the Warehouse Arts District, the 16 day event features 3 attractions including the midway, haunted trail and haunted maze. Zombies leark in the dark where ever you are, there is no escape. Open every Thursday, Friday, and Saturday through October.